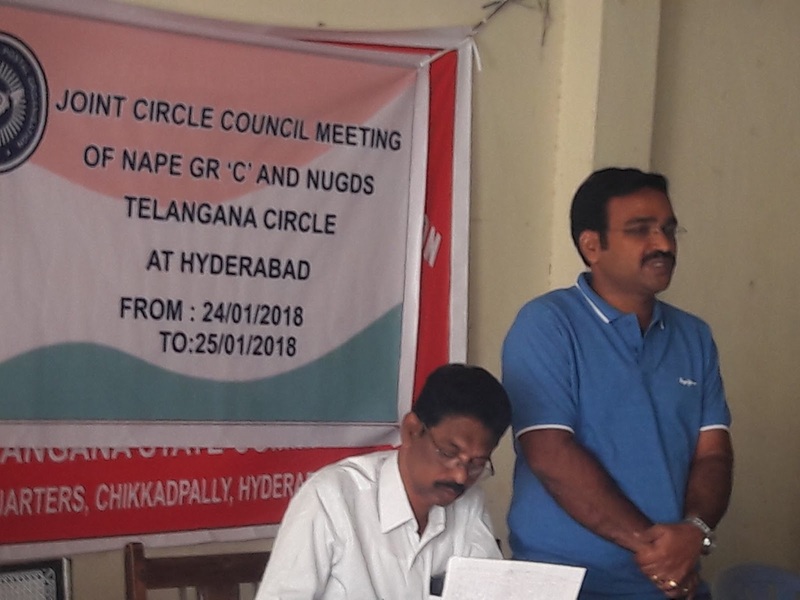 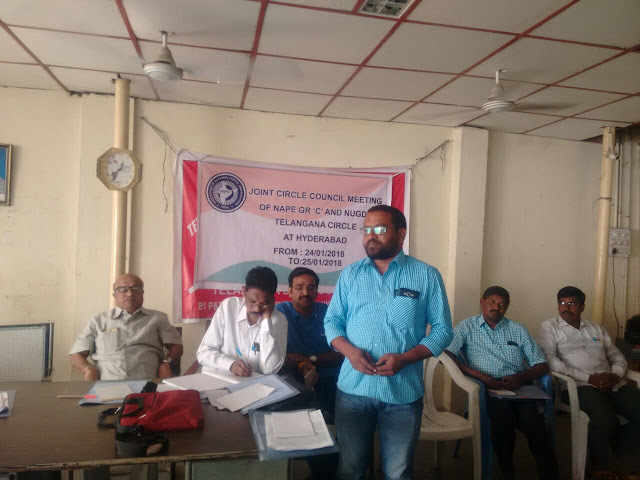 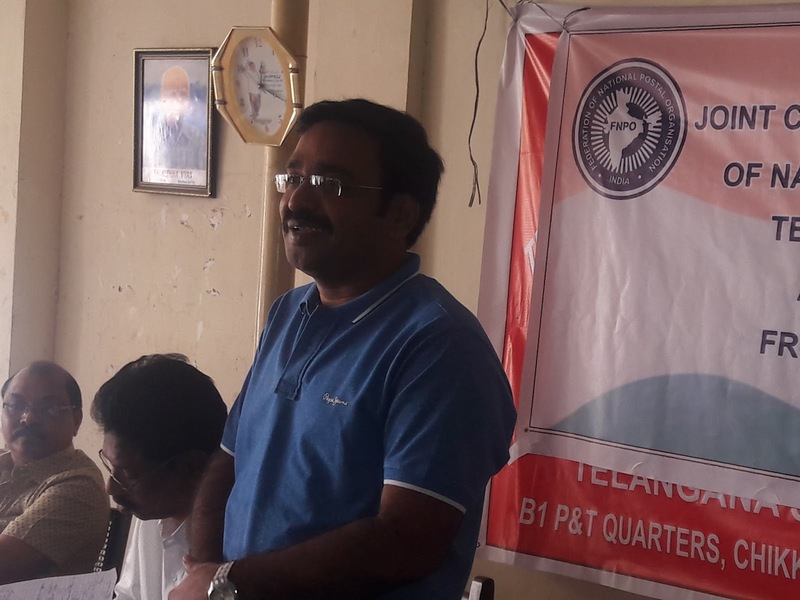 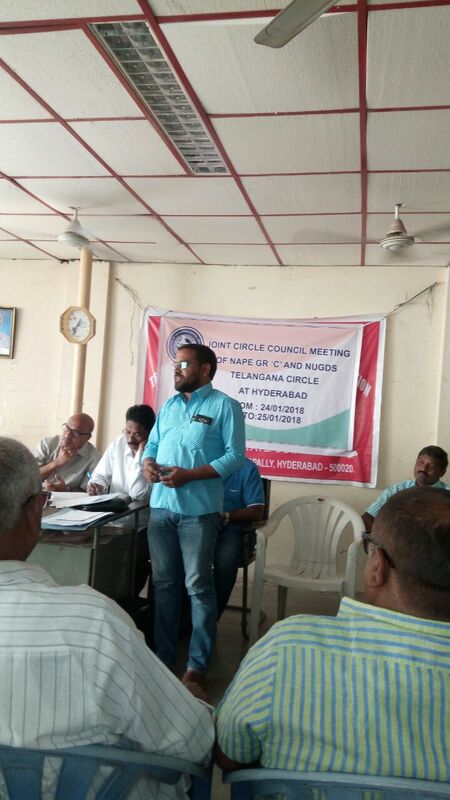 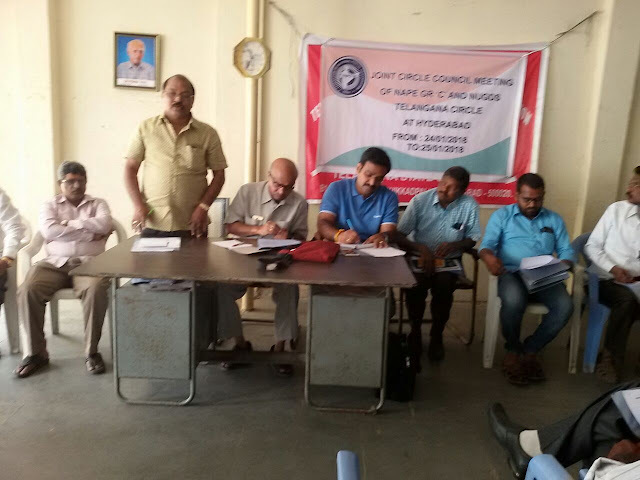 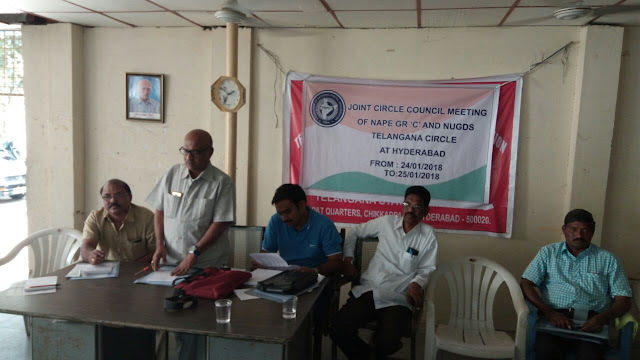 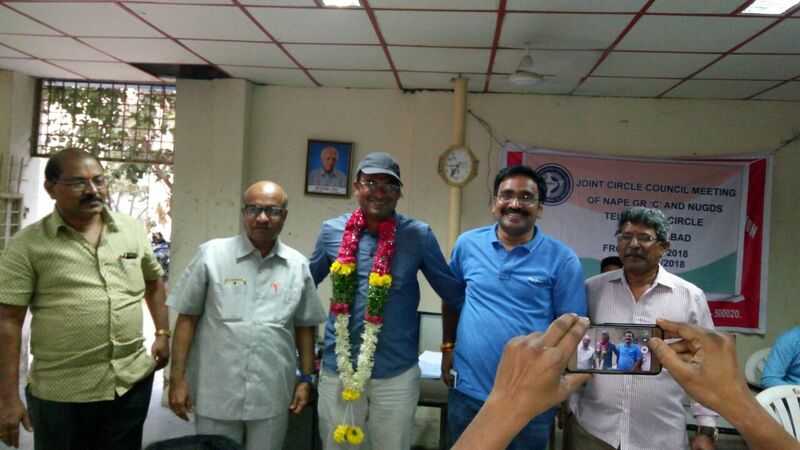 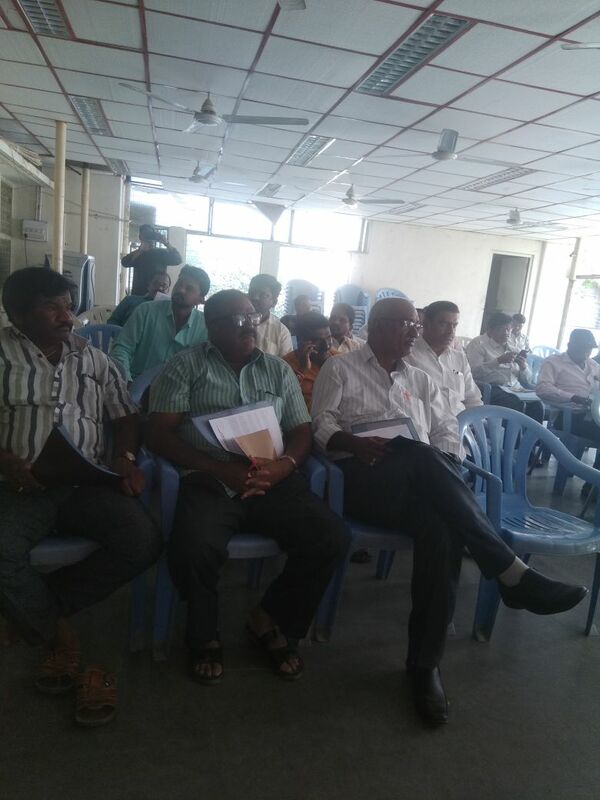 Joint CWC of NAPE Group'C' & NUGDS Telangana Circle was held on 25.01.2018 at Postal Quarters, Chikkadapalli, Hyderabad under the presidentship of Sri.G.Nageswara Rao. 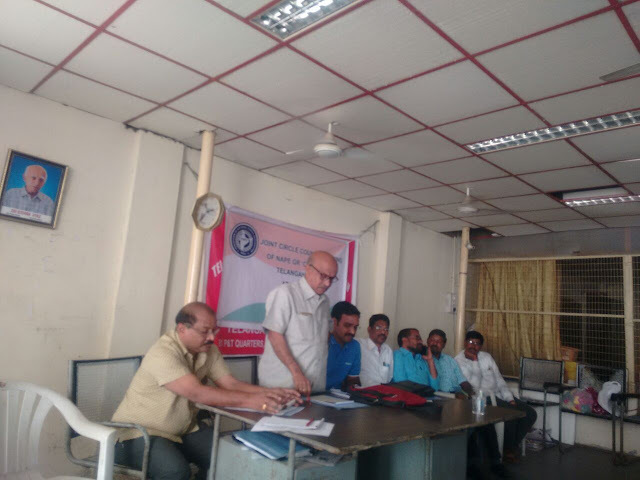 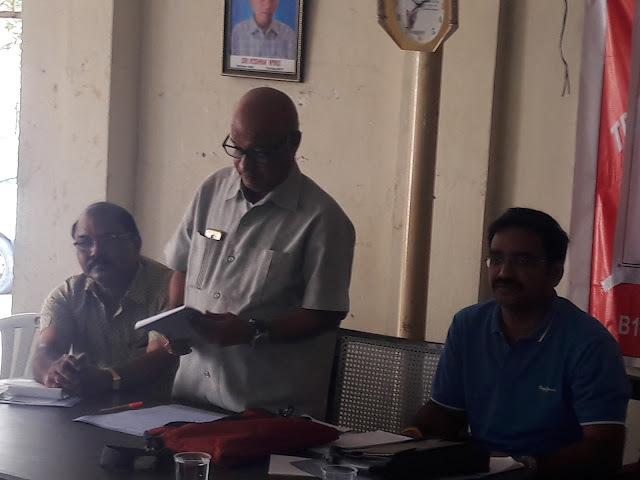 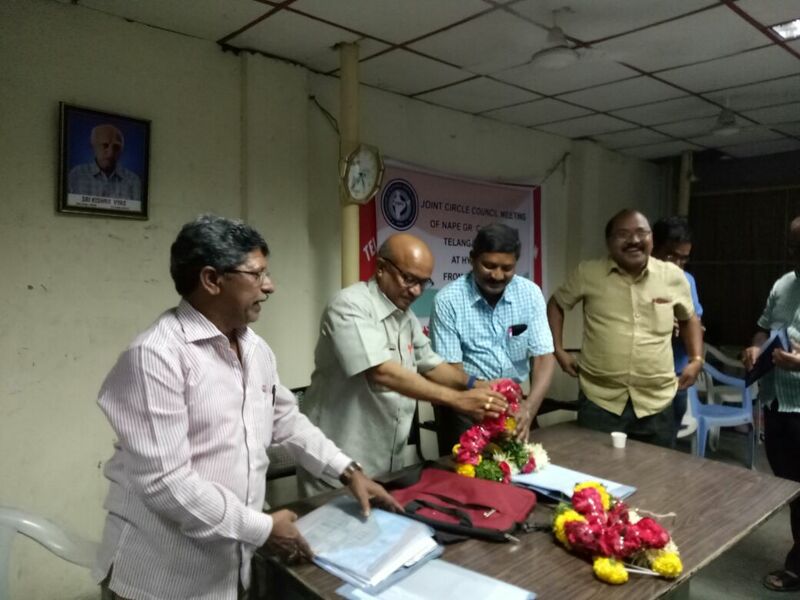 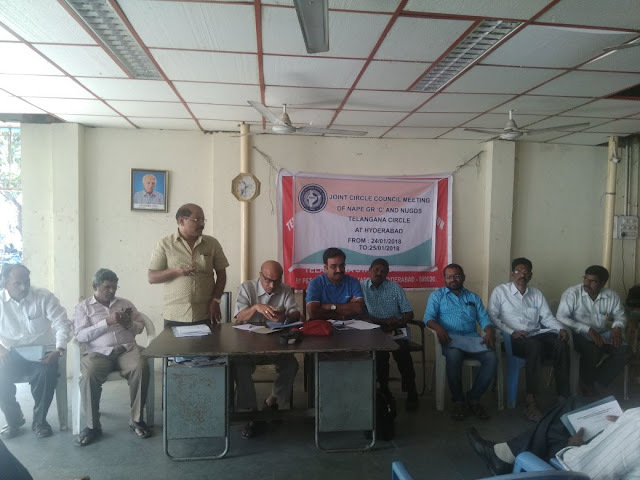 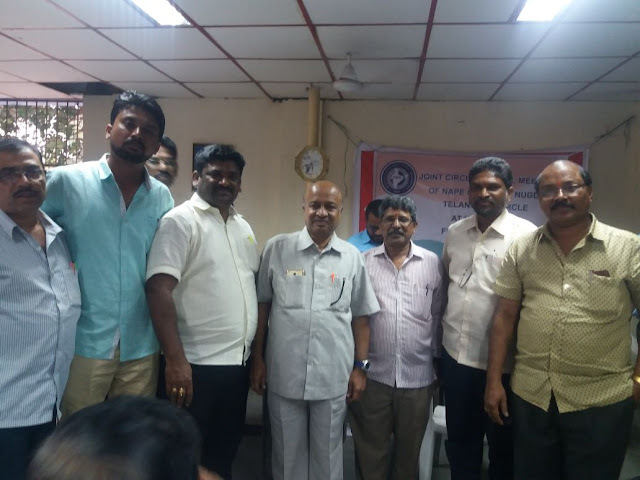 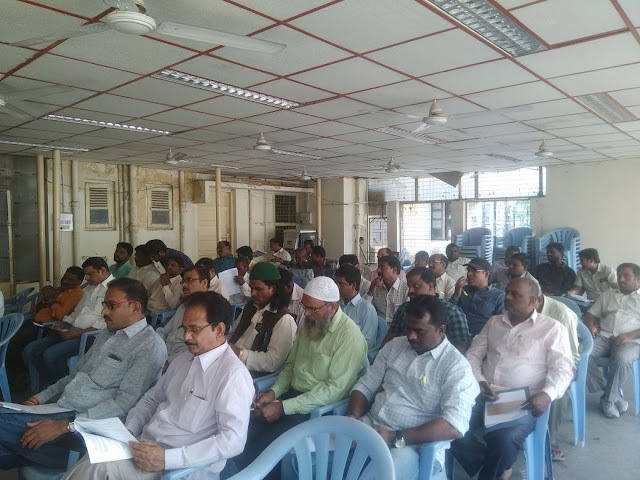 Sri.D.Kiahan Rao General Secretary Group'C' attended as chief guest and addressed the gathering.GS explained CSI problems,Cadre restructuring of Gr-C employees, IPPB , RICT, Organisation review and details of GDS Pay Committee Report and its implementation process. 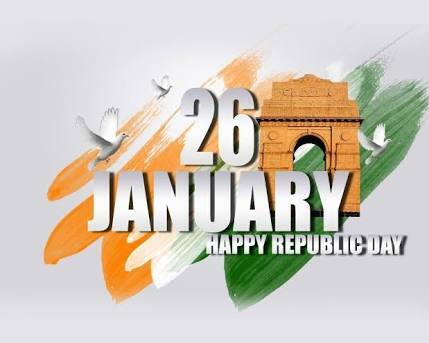 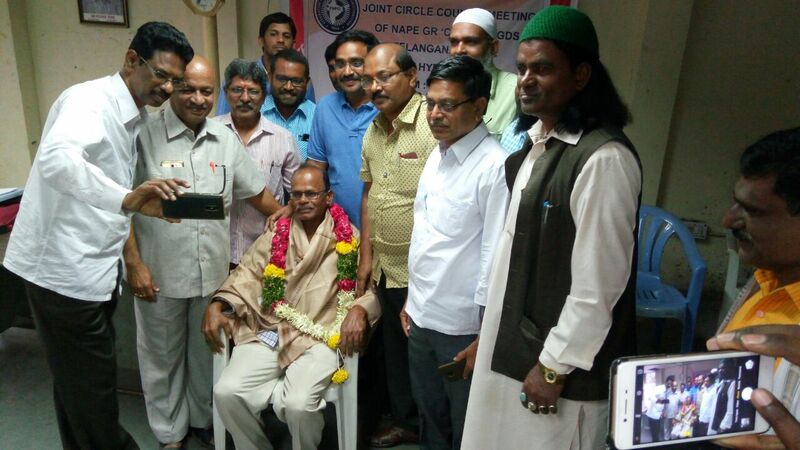 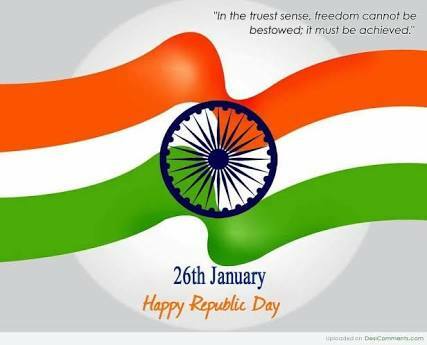 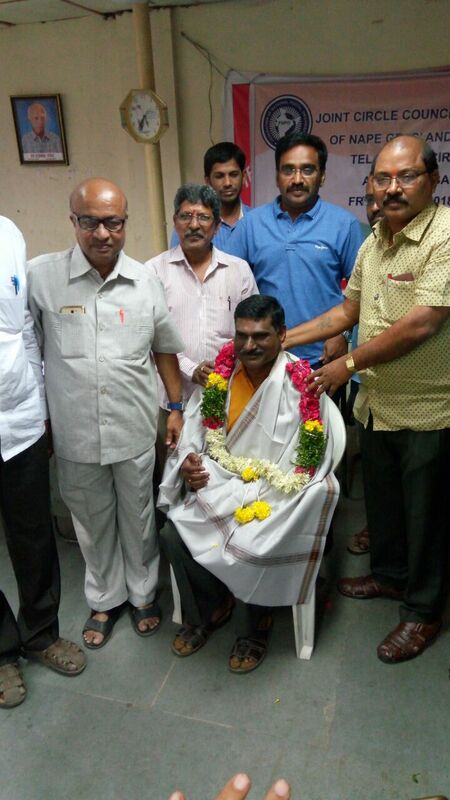 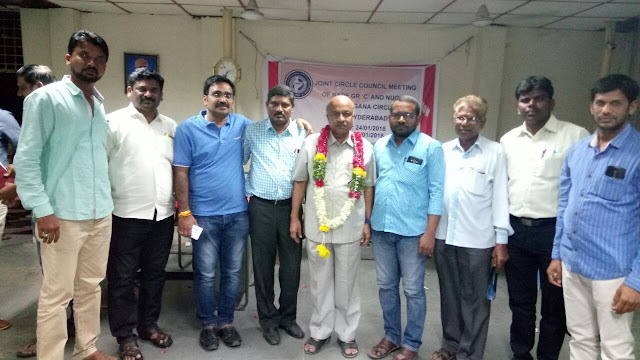 Sri.P.Rajendar Reddy , President NUGDS Telangana Circle ,Sri.Sivaji Vasireddy Asst.GS&CS AP Circle Gr-C ,Sri.K.Venugopal Reddy CS Gr-C , TS Circle, Sri.G.Shankar Goud Vice-President, TS Circle Gr-C , Sri.CH.Laxmi Narayana President CHQ& CS AP Circle NUGDS,Sri.CH.Devanna Asst.GS CHQ, NUGDS and Sri.I.Vasantha Rao CS NUGDS TS Circle were attended the meeting and discussed department and GDS problems in detail.